Bloggin' 'bout Books: TTT: Where in the World Did You Go, 2017? TTT: Where in the World Did You Go, 2017? I don't know how you're doing on your 2017 reading goals, but I'm still 54 books behind! My aim was to read 200 books this year. I've made the same goal for several years in a row and have never achieved it. It looks like I probably won't make it this year either. Oh well. I at least want to beat last year's high of 152 and it would be super swell if I could break my record of 186, which I hit in 2011. We'll see. Before I get to my list, though, I want to encourage you to join in the TTT fun. This is a great meme, which always helps me find new books to try and new blogs to love. All you have to do to get on this party train is click on over to The Broke and the Bookish, read some quick instructions, make your own list, and start hopping around the book blogosphere. Easy peasy. You don't want to miss it! 1. The Disappearances by Emily Bain Murphy—I'm actually cheating on this one since I finished it last night. I wanted to mention it, though, because it has been one of my most anticipated reads of the year and it totally delivered. 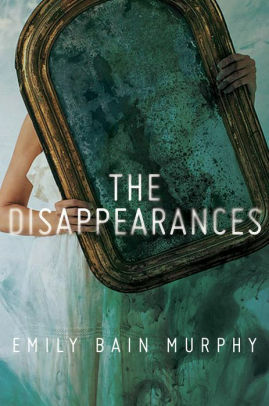 The cover makes The Disappearances look like a horror novel, but it's not at all. I'm not sure what genre it is exactly, but I loved the story's intriguing blend of mystery and magic set against a WWII backdrop. It's an original, intelligent tale that is both enchanting and absorbing. The Disappearances might just be the best novel I've read this year! 2. 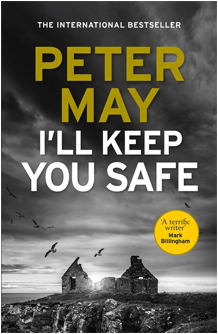 I'll Keep You Safe by Peter May—I adore this Scottish author and his broody mysteries set in the Hebrides. One of the lovely publicists at Quercus, who knows what a fan girl I am, just sent me a copy of his newest standalone, which doesn't come out until March. I can't wait to dig in! 3. 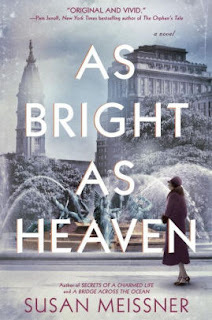 As Bright As Heaven by Susan Meissner—I've enjoyed several of Meissner's books, so I'm excited to read her newest. The novel doesn't come out until February 2018, but there's an ARC winging its way to me even as I write this. The book is about a couple who arrive in Philadelphia in 1918, excited to give their young daughters a bright new life in the city. When Spanish influenza hits, their dreams are shattered, and they must find a way to endure a harsh new reality. The novel sounds sad, but compelling. 4. Reading People by Anne Bogel—I've mentioned this book before, but I still haven't gotten to it so it remains on my TBR list mountain mountain chain. I was originally drawn to this title because I thought it had to do with bibliophiles. Not so. It's about personality. I've always been intrigued by pop-psy, so I'm definitely up for a read of this one, which happens to be written by one of our own. Bogel blogs about books at Modern Mrs. Darcy. 5. 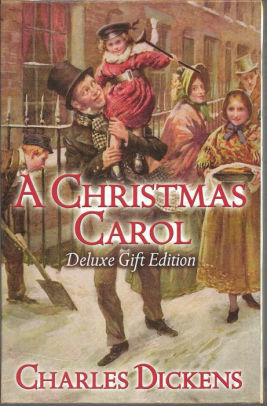 A Christmas Carol by Charles Dickens—I try to re-read this holiday classic every Christmas. It's timeless and inspiring. 6. Far From the Tree by Robin Benway—Ever since experiencing the joys of adoption for myself, the subject has become a very tender one for me. I'm always drawn to books about adoption, so this one has been on my TBR pile ever since it came out in October. It's about what happens when a teen girl goes searching for her biological siblings. 7. The Midwife: A Memoir of Birth, Joy, and Hard Times by Jennifer Worth—I don't watch a lot of t.v., but I've recently become addicted to Call the Midwife, the heartfelt BBC drama based on Worth's memoirs. It's a warm, funny, heartbreaking series that never fails to make me cry (which is why I only watch it when I'm alone). I'm eager to read Worth's stories in her own words. 8. 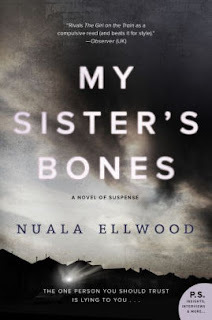 My Sister's Bones by Nuala Ellwood—Sisters and secrets? I'm all in. 9. The Dark Intercept by Julia Keller—I've enjoyed Keller's Appalachian mystery series starring Bell Elkins, so I'm intrigued by her newest, a YA sci fi adventure. It sounds epic! 10. 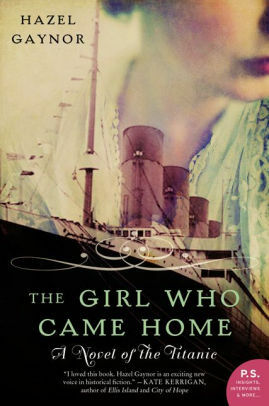 The Girl Who Came Home by Hazel Gaynor—I've never read anything by Gaynor, but I'm intrigued by this back-and-forth-in-time novel about the Titanic. I find books about the maritime tragedy endlessly fascinating. So, there you go. What do you think of my list? Have you read any of these books? What else should I read before the year fades away? What are you planning to read in the next month or so? I'd really love to know, so please leave me a comment. I'll gladly return the favor. I really enjoyed The Girl Who Came Home. I've been hit or miss with Meissner, but she does always have lovely covers! I've read two of her books and liked them both. You're right -- her covers are always beautiful! Wow! 200 books is a lofty goal. I’m proud of surpassing my goal of 60. These all look interesting and I love how diverse they all are. That top one does look like a horror book. I like the cover because it's eye-catching and mirrors are important to the story, but its tone doesn't really fit the story. The story is mysterious but not scary. 200 books a year!?! That's a serious amount of books. I thought I read a lot but I probably only do 50 or 60, although I've never actually counted. I haven't heard of most of these books, I'll have to check them out. Wow, all of these sound amazing! Super suspending and good mysteries. :) I hope you'll love them. Yep, I love me a good mystery/suspense story! Probably my favorite genre. I read My Sisters Bones a few months ago and loved it. And the Girl Who Came Home broke my heart! Such an emotional, heart-felt read. Hope you enjoy your books, and get as close as you can to your target. Oh, good, I'm glad I picked some winners! I've heard good things about both and they sound really intriguing to me, so I'm excited to read them. 200 is a big goal but man 152 books is awesome too!! Far From the Tree was a great read for me this year Hope you enjoy it! Yeah, it might be an impossible goal. It's fun to try to achieve it, though! FAR FROM THE TREE sounds so good. I need to get my hands on it soon. Yay! I loved THE DISAPPEARANCES, but I have a feeling it's going to stay under the radar, which is too bad because it's AWESOME. I'll be interested to see what you think of it! Good luck with your reading. I can't imagine trying to read 200 books in a year, I'll be lucky if I hit my goal of 120. A few of your TBR's look really good too, so I'll definitely have to keep them in mind for future reading. Even reading 150 books in a year is an amazing achievement! It makes my usual 30-50 books a year seem tiny... so well done! Nice list! 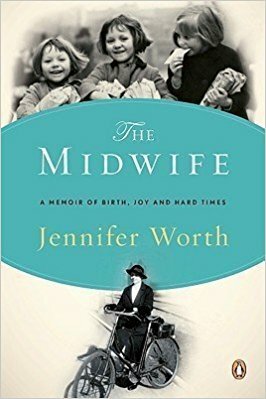 As a midwife myself I feel a little embarrassed to say I haven't read The Midwife Trilogy - I need to fix this! But I have watched the TV show, it's a fantastic series (and quite realistic at times!). Happy reading! Good luck with your reading goal! LOL - Yes, it has the most realistic birth scenes I've ever seen on the big or small screen! I can't watch it with my kids in the room -- I don't want them to be traumatized. Ha ha. I haven't heard of many of the titles on your list. Reading People sounds good! Also cool tradition of rereading A Christmas Carol every year! Yeah, A CHRISTMAS CAROL always puts me in the holiday spirit. I agree -- READING PEOPLE sounds super interesting. It's pretty short, too, so I think I'll for sure get to it before the end of the year. I'm about 1/2 way done with Reading People :) I love Anne and listen to her podcast weekly! I used to visit her blog regularly, but it has kind of fallen off my radar lately. I'm excited to read her book, though. It sounds interesting. I should reread A Christmas Carol this year. It would be a good December book. The other books on your list sounds pretty interesting too. It's a great December book! Bonus that it's nice and short, so you can read through it quickly. 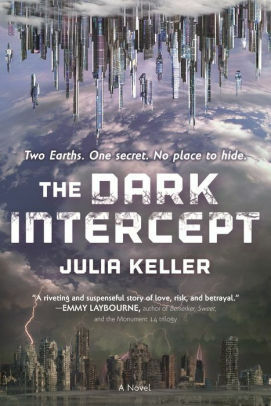 I've been seeing The Dark Intercept everywhere. I guess it's time to add it to my TBR. lol. Thanks for visiting Shell's Stories. Have you? I hadn't heard anything about it until a publicist contacted me asking if I wanted a review copy. I'm not sure how it flew under my radar! Great list! 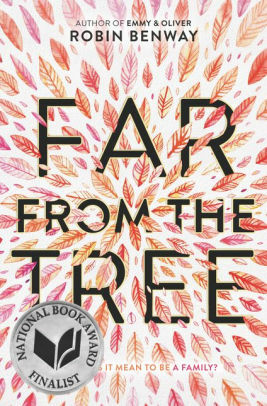 I was sent Far From The Tree from Harper Collins and can't wait to read that as well! It's hard to describe, but it's a really good book. I hope you love it when you get to it! Ugh right?! This year FLEW by! Right? How did that happen? Reading People is on my TBR mountain list too! I hope we both love it! It sounds really interesting. The Dark Intercept looks fun. I'll have to look that one up. Yeah, I'll be interested to see how it compares and contrasts with the other books I've read by Keller. I want all of these! I have A Christmas Carol on my list. Somehow I've never read it though I've seen it a number of times in plays and movies. I just read my first Hazel Gaynor and LOVED it and can't wait to get to the one you mention. Reading People sounds amazing too. I love Bogel's podcast and am really excited about it. Great list! It's a fast, easy read so you should definitely read A CHRISTMAS CAROL. Nothing gets me in the holiday spirit (except maybe watching It's a Wonderful Life) like it does. I never listen to podcasts, but you're the second person to mention Bogel's. I might have to check it out! 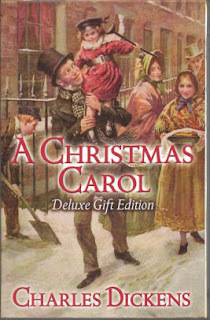 I always love A Christmas Carol, I've read it so many times, but it's always good! Good luck with your wrap up list! It's so timeless! I love it more each time I read it. 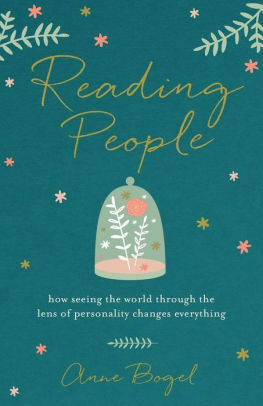 Reading People by Anne Bogel sounds amazing, and is definitely one I want to read as well. I completely understand your addiction to the Midwives show. My parents watch it, and when I was visiting them over the summer I got sucked in as well after only one episode!